The July 1951 issue of Model Railway News carried an announcement that a Mr W. Loch Kidston was organising a meeting in the Edinburgh Chamber of Commerce, 25 Charlotte Square, Edinburgh, on Friday 6th July 1951 at 7.30pmin to inaugurate the Edinburgh and Lothians Miniature Railway Club. In the October issue it was noted the July meeting had been a success with an attendance of over thirty and that the Club had been formed with J. H. Farr as Chairman and W. Loch Kidston as Honoury Secretary. The annual subscription was to be 5/- [25p] and negotiations were in hand to acquire premises in a disused railway station. 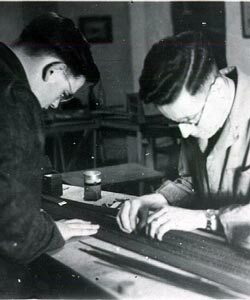 Amongst the early members were a number of well known modellers including Ken Northwood [of North Devonshire Railway fame], Sir Eric O Hutchison, P. D. Hancock [Craig and Mertonford], John Charman [Charford] and Don P. Rowland. Mr Loch Kidston, after leaving the Club, was instrumental in 1956 in helping to found the Gauge O Guild and later was a member of the Model Railway Study Group who set up Protofour. 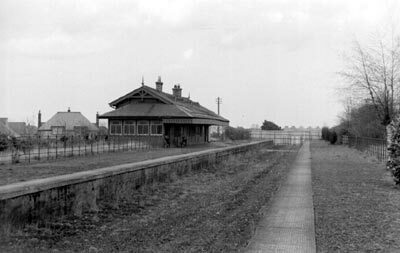 The first clubrooms were in the buildings of Davidson's Mains station which had just closed with the ending of the Edinburgh [Princes Street] to Barnton branch trains. Between 1954 and 1965 the Club was located in premises at Advocates Close in the Royal Mile a short distance from Edinburgh Castle, but then moved to The Gatehouse at Restalrig Church which was to be the Club's home until 1998. The club is now located in a former workshop at 3 Piershill Terrace, Edinburgh where the clubs layouts are stored and maintained.